The ELAS System automates the development and distribution of Legislative Action Statement documents. We are working to figure out how to prevent this, but deleting the bad cookie seems to solve the login problem. Which browser are you using? 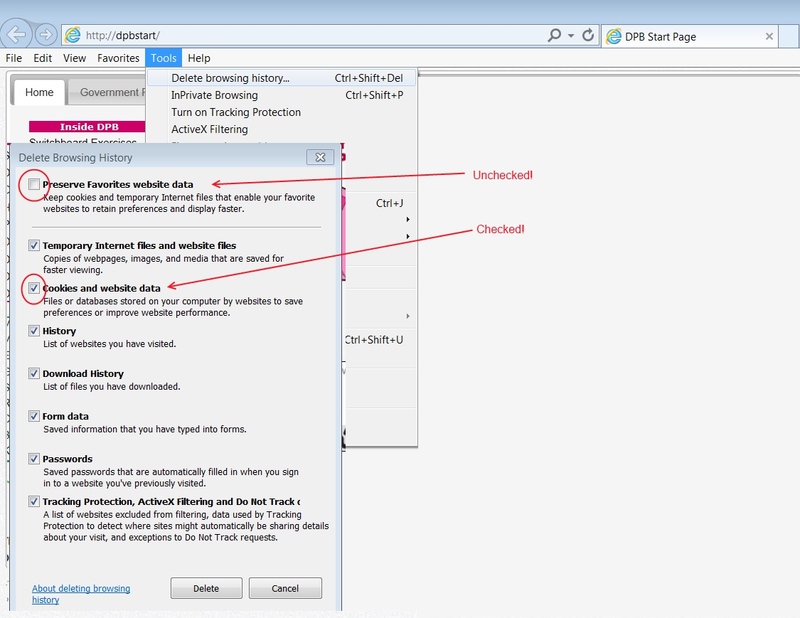 Older version may differ slightly, but you can do this in IE by choosing Tools / Delete Browsing History and deleting your cookies. Make sure the top check box is unchecked. Older version may differ slightly, but you can do this in Chrome by the "Tools" icon in the upper right and then choose History. 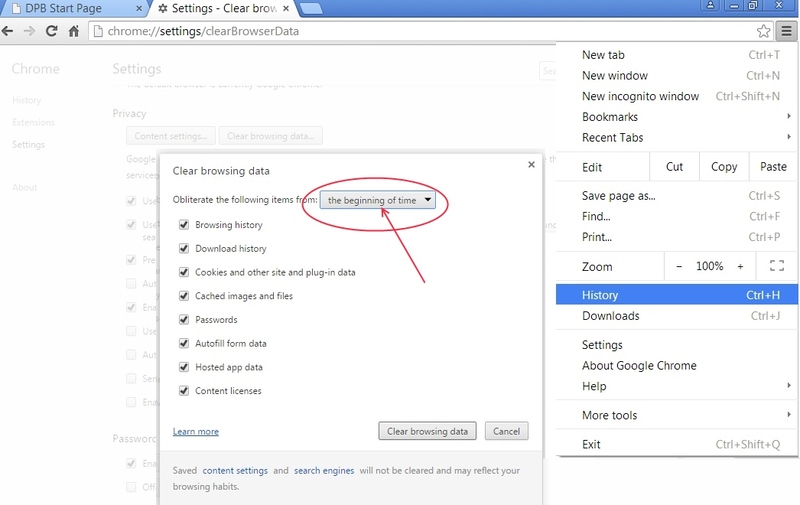 Older version may differ slightly, but you can do this in Firefox by choosing Tools Icon in the upper right and choosing History. For questions, assistance or problems logging in please contact DPB Staff. You can email DPBwebmaster@dpb.virginia.gov or call Christy Berry at (804)786-7772 or Scott Hubbard at (804)786-6325. The Electronic Legislative Action Summary system (ELAS) is used to (1) manage the assignment of Legislative Action Summaries (2) Track the status of their completion (3) Manage the storage of the documents and (4) provide comprehensive reports of the entire process. Legislative Action Summary Documents are considered Governor's Confidential Working Papers. Users of ELAS can only view documents within their assigned Secretariat(s) and any documents that they post into the system. Do not share any LAS Documents with others without the expressed consent of the Governor's Office. EBR Template Blank EBR template used for Enrolled version of the bill.